In April, the Department of Transportation reported that 32,788 people were killed in car accidents nationwide last year, the lowest number in 60 years. The statistics were just as impressive in California, which reported 2,715 accident deaths, a 12 percent drop below 2009 figures and the lowest number since World War II, according to the Office of Traffic Safety. The California OTS announced Wednesday that the state is being rewarded $76 million in federal traffic safety grants for this impressive drop in car accident deaths. With budgets tight, California will need to get clever about how to allocate these funds, and will hopefully support initiatives that will improve pedestrian and bicycle safety as well. It’s true that vehicles account for the largest number of accident deaths in California, comprising 43 percent of the state’s total traffic accident deaths. But victims of other traffic accidents, including pickups, motorcycles, and pedestrians, account for the majority of traffic deaths both in California and across the country. In fact, since motorcycle accidents account for 13 percent of California traffic deaths, despite making up a small portion of the state’s commuters, motorcyclists are even more vulnerable to accidents than vehicle drivers. 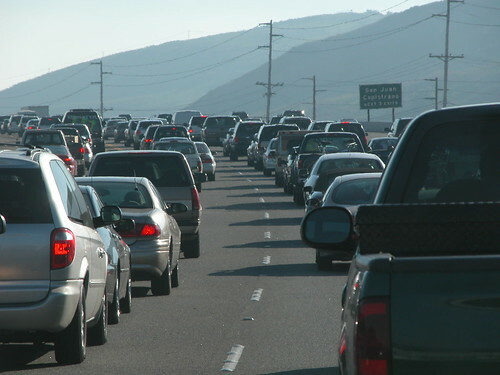 California is prepared to use the $76 million in grants to further improve traffic safety for the state’s motorists. But more than anything, the successful campaign to reduce accident deaths proves that the state could implement similar reductions in motorcycle and pedestrian deaths. Such safety improvements could lead to even more impressive future federal grants designed to reward the state for improving traffic safety across the board.